Even if your company plans to remain private, you may find that SOX’s transparency requirements are just a good idea. By operating with openness and accuracy about your company’s financial health, you’ll gain the confidence of customers and make it easier for others to do business with you. This is the predicament in which countless startups find themselves as they contemplate going public. 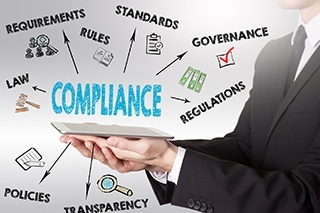 What does SOX compliance mean for IT and how do you go about achieving it? Here, we’ll answer some of your questions. The complete Sarbanes-Oxley Act is over 30,000 words long. Included in its 11 sections are protections for whistleblowers, requirements for CFOs, CEOs, and corporate boards, and audit procedures. Most relevant for IT departments, however, are the regulations about generating and archiving accurate business records. The federal government wants public companies to be auditable on a moment’s notice. That means that all your company’s financial records — including electronic records and communications, on- and off-premises — need to be retained securely in unaltered form for at least five years, providing an audit trail for your financial statements. Furthermore, the records should be accessible by auditors on demand. According to SOX, your company’s CEO and CFO are on the hook for compliance. They must certify that your company has the appropriate internal controls in place and has documented any relevant changes or deficiencies. What Does SOX Say Specifically About IT? One of the most challenging aspects of SOX for IT departments is that, although compliance requires a massive effort to secure and control access to records, SOX doesn’t actually say anything about how to do that. In other words, you need internal controls. Which controls? That’s open to interpretation. Lacking specifics, many IT departments turn to established frameworks such as Control Objectives for Information and Related Technology (COBIT). However, making your way through the steps of an existing framework like COBIT can be overwhelming, especially if your company has a small (or no) IT department. Who Can Help With SOX Compliance? Data security. To ensure your financial records are reliable, you need to keep them out of the hands of anyone who may alter them. That means strict access control and tracking of all modifications. As companies move more and more data to the cloud and more work to collaboration platforms, this level of security becomes more complicated. In case cloud services are compromised, you need local backups or copies of the data files. The right compliance software. Since SOX became law 15 years ago, an entire industry of automated compliance software has sprung up. These tools help companies organize their compliance efforts, track changes, and generate reports. But which software is best for your company and how will you configure it? IT policies. Hardware and software controls can only do so much to keep your records safe. Employee misuse of data and sloppy security habits have contributed to some of the biggest data breaches in history. A comprehensive set of IT policies will control the human factor in data security. As your company grows, regardless of your compliance obligations, you’ll want to adopt more stringent security practices to protect your data. But not every company will have the people and expertise on hand to design and implement complex, SOX-compliant internal controls. That’s why many seek help from outsourced IT experts. Where is your financial information located? Is it hosted or on-premises? Is it federated and tied into the directory structure? Who has access and what is the approval chain for granting access? What if an employee leaves? Do you have a plan for terminating access? What do you do if an employee’s laptop is lost or stolen? From there, we were able to build an IT system equipped with the access controls, logging, policies, and other security features our client needed to go public with confidence. Is your outsourced IT provider asking the right questions to ensure your SOX compliance? If your company is planning an IPO, start the compliance conversation by contacting an IT expert like Data Evolution.